I read Frank Bruni, opinion columnist at the New York Times, frequently. Today's column: The Moral Wages of the College Admissions Mania was particularly good. Most colleges are walking dead in my view. But many remain and will for a long time. This quote quote reminded me of an article from Scientific America a long time ago. Something about the object of an education is not hammer - it's carpentry. I thought that was tragic. In the journey from infant to adult the brain of a child is transformed by experiences. Some are accidental, some intentional. Parents are the original teachers; siblings and environment too. But schools play a critical role. I’ve thought a lot about what motivates human behavior and concluded that one of the principal motivators is power. The accumulation and exercise of power, whether by children, adults, leaders or countries, is unarguably a factor in personal and social evolution. Children are born powerless. From birth they set upon a course to accumulate it. How do they do that? I believe evolution has bestowed on some the advantages of strength, intelligence, beauty and health. Their families confer others like sustenance, safety, love and legacy. And the aim of society is to distribute power through education. The degree to which society succeeds or fails at this aim is the subject of great debate. One measure of power is agency, otherwise known as self-efficacy. Unfortunately, I see lots of kids that lack this fundamental capacity. It exhibits as low self-esteem, incuriousness, low persistence and hopelessness. 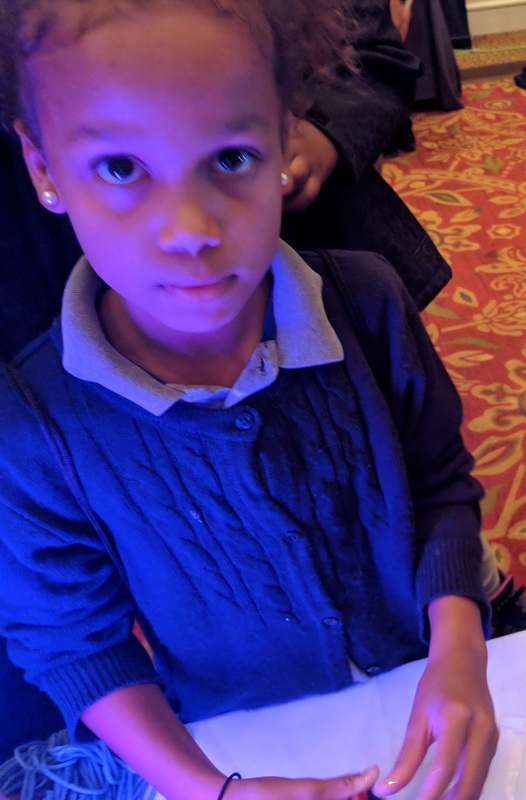 Think about the consequences of powerlessness: kids who don’t think they are good enough, that tomorrow won't be better than today, that the world is a scary place and they are vulnerable. Or worse: acting out, dropping out, drugging out. I think schools that focus on the attainment of a standard (and more easily measurable) set of skills (too often clinging to those that were relevant a hundred years ago) fail to develop the uniquely human skills of curiosity, creativity and a love of learning. We need our education metrics to prioritize ‘robot proof’ talents like these. The ‘Carnegie units’ employed in the dispensation of learning is a perpetuation of an industrial model of school responding to the needs of an industrial revolution. It is no longer effective – or equitable – for a future where 65% of today’s students will be employed in jobs that don’t exist yet. Kids know this. They are stuck in school, being taught crap they don’t care about, at great effort and expense, for little or no perceived benefit. They are powerless. They see the smart kids earn extrinsic rewards for memorizing while their curiosity is being ignored. They conclude they are not-smart, disengage from the process and simply wait for it to end. What if the goal of school was to indulge a student’s curiosity? What if the pace of learning was tuned to their interest? What if the rewards were intrinsic? That is what making things does effectively. Power, and its proxy: Agency, are not given like school grades are given. They are the result of investment of effort over time, struggle, coping with frustration and failure, concluded finally with the experience of success. It is an intrinsic reward for proving something to oneself. Failure is simply feedback in this process. The desire for power overcomes the fear of failure and other hurdles which need to be overcome. I believe that making something is almost always engaging and meaningful. It rarely happens on the timeline or under the conditions set by someone else. Along the way a teacher can facilitate learning, but the learning is a byproduct of making something not the objective. Adults may learn for some abstract benefit, but kids just focus on the thing they are making and learn despite the fun they are having. All learning should be fun. We need to reintroduce making into the curriculum for all children. (Children were almost always exposed to making outside school when the economy was more closely tied to manufacturing and farming.) Making can mean a physical product or creating a system as it oftentimes does in project based learning. Students should be able to connect what they are learning in the classroom to relevance outside the classroom. Making something yields authentic/intrinsic/personal rewards that give kids power over their lives. Kids need more of that, and for the sake of our society, we need more powerful kids. Today at our Indianapolis Rotary Club weekly luncheon we had an election wrap-up. Republican and Democrat political consultants presented their opinions about what happened and why. My invocation brought attention to the divisive climate of the election and challenged future candidates to observe the Rotary 4 Way Test. In the recent election, Americans demonstrated, in undeniable terms, just how polarized we have become as a society. We seem to be getting the best elections money can buy – at least from the perspective of advertisers. Benjamin Franklin said: “We must, indeed, all hang together or, most assuredly, we shall all hang separately.” He was worried about the threat of retaliation from the British for the acts of Independence of the Colonies. I am worried about the driver who sees a Trump or Bernie sticker and sees red on the highway. I’m worried about my neighbor not helping me blow my leaves or shovel my snow because I put a Punam Gill sign in my yard. Ben Sasse, Republican Senator of Nebraska, wrote a book called ‘Them’ which attempts to explain how we got here and how to heal. He was attacked by members of his own party! The press have been called Enemies of the People! Where we get our news and what we believe depends more on party affiliation now than the facts. Opinions have been weaponized. And for that matter – how do you explain fact and fake to a fifth grader? I was talking with a friend about this over the Thanksgiving holiday – at least most of us can still share dinner. (But it’s probably a good idea to avoid talking about anything in the news.) He blames it on Facebook. I blame it on cable news. Maybe it’s Citizens United or the Russians? What seems obvious to me is that we have retreated from the public square. Today you can gorge yourself on a 24/7 diet of news curated to flame the fears of your prior beliefs and biases – fine tuned to your zip code. And like with food, lacking variety in consumption leads to malnourishment. That’s what makes what we are doing here today so important. Rotary is an abundant source of community in America. Something as simple as turning off the outside to share lunch with people we respect, as we share our views and try to understand those of others. Where we agree that Service above Self is a motto we can all agree on regardless of our politics. These ladies will give us their expert opinion on what happened in the past election. But we need to tell the politicians enough is enough! We want them talk about each other like we do here are Rotary – govern their campaigns by the Four Way Test and, maybe this is asking too much – talk to us about their vision for Indiana and America, not just about the character flaws of their opponent. 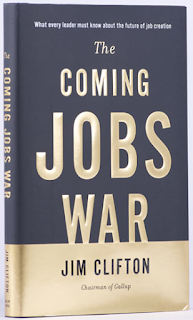 I've been reading: The Coming Jobs War by Gallup CEO Jim Clifton. It describes a dystopian future where America can't match the job creation success which brought power and prosperity to our nation. The answer according to Clifton is 'make more entrepreneurs!' Only entrepreneurs employ people and small businesses are where they make more of them than anywhere else. So I looked a little deeper into Clifton's solution and found out about Gallup's Builder Initiative and their Builder Profile, an assessment which can identify those youth or adults that have what it takes to be a builder - an entrepreneur. I suggested to economic development leaders that we should give this assessment to every high school senior! What a difference it would make if we could find/develop and support more entrepreneurs in Indiana who can create businesses and hire Hoosiers! Here is a series of videos describing the 10 Builder Traits. And here are the talents. Confidence: People with Confidence accurately know themselves and understand others. Delegator: Delegators recognize that they cannot do everything and are willing to contemplate a shift in style and control. Determination: People with Determination persevere through difficult and seemingly insurmountable obstacles. Disruptor: Disruptors exhibit creativity in taking an existing idea or product and turning it into something better. Independence: People with Independence do whatever needs to be done to build a successful venture. Knowledge: People with Knowledge constantly search for information that is relevant to growing their business. Profitability: People with Profitability make decisions based on observed or anticipated effect on profit. Relationship: People with Relationship possess high social awareness and an ability to build relationships that are beneficial to their organization's survival and growth. Risk: People with Risk instinctively know how to manage high-risk situations and make decisions easily in complex scenarios. Selling: People with Selling are the best spokesperson for their business. 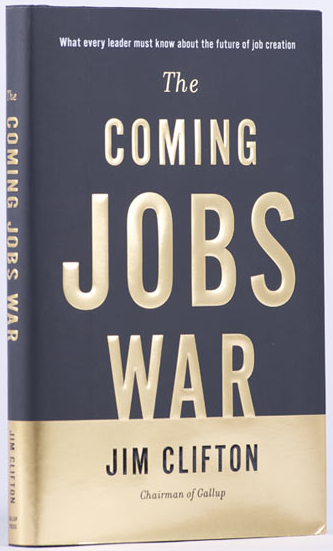 We need to do more to harvest the talent we have to win the coming jobs war for America! My first start-up out of college was as a franchisee for Success Motivation Institute, founded by Paul Myers. To this day I believe that attitude is more important than aptitude. I wasn't a very good salesman and I wasn't successful in that business, but I've always been a student of motivation. My grandfather, Herb Schafer (whom I called Pob,) inspired me - despite his suffering from agoraphobia. Here is a wonderfully motivational speech from the 2014 commencement of the graduating class of the University of Texas by Navy Seal Admiral William H. McRaven. I recommend that you watch it every day . . .